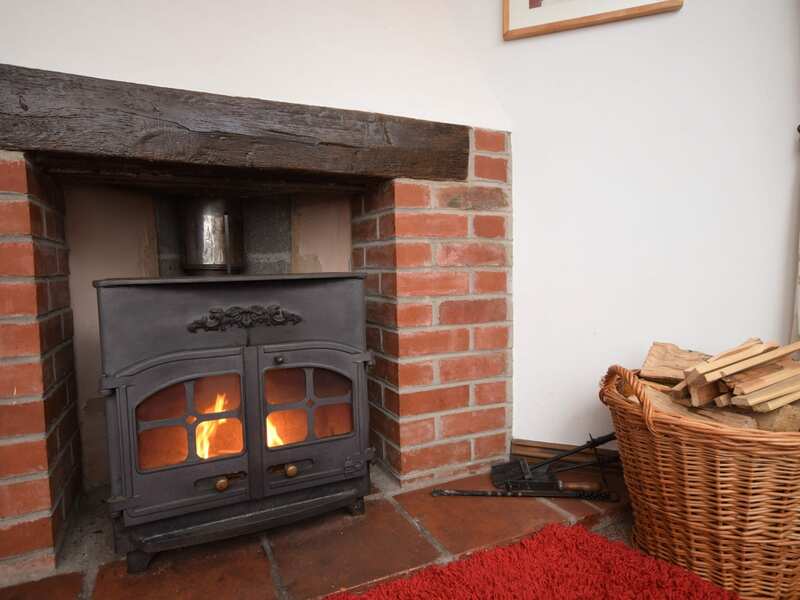 This property is ideal for guests who are hoping to escape the pace of daily life and relax in peaceful surroundings. 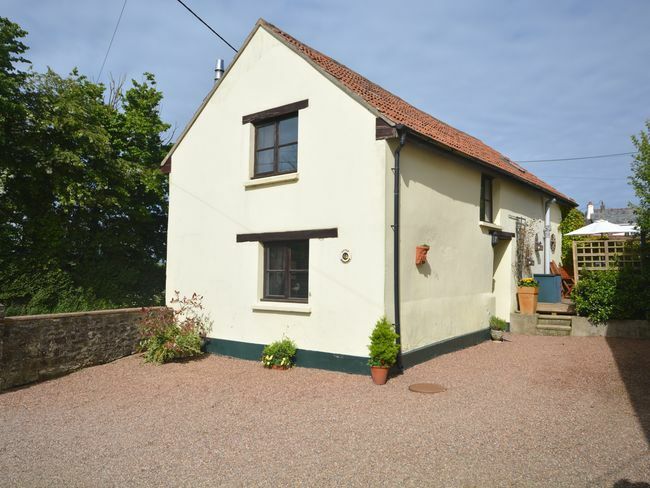 Although situated in a sleepy hamlet the property is within a short drive of the town of Barnstaple where there is a good range of shops and restaurants a theatre leisure centre and a swimming pool. 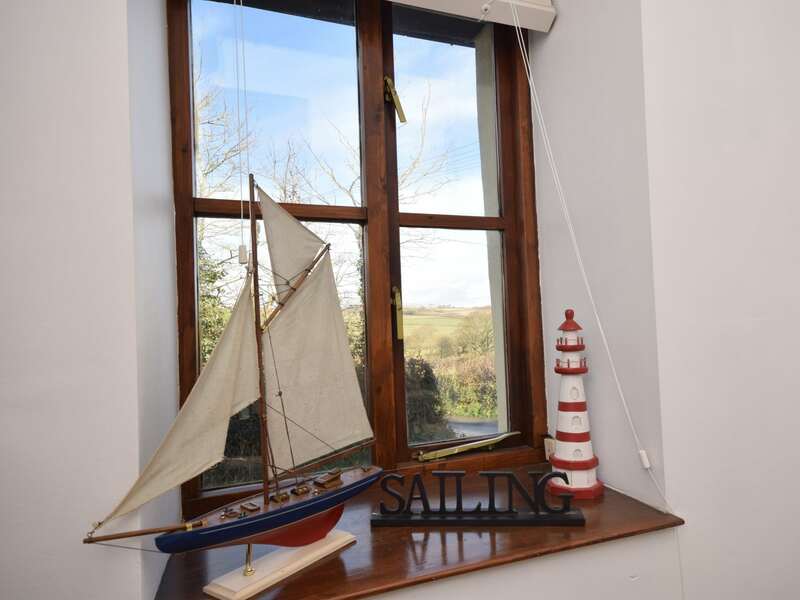 Nowhere is particularly far from the beach in Devon and this property is no different and there is a choice of lovely beaches within easy reach including the pretty beach in the village of Instow the huge sandy beach in Westward Ho! and the small beach in the privately owned heritage village of Clovelly. This is one of two barn conversion properties which sit across from one another on a quiet courtyard. The ground floor of the property is an open-plan space with the stairs in the middle separating the lounge area from the kitchen/diner to the rear. 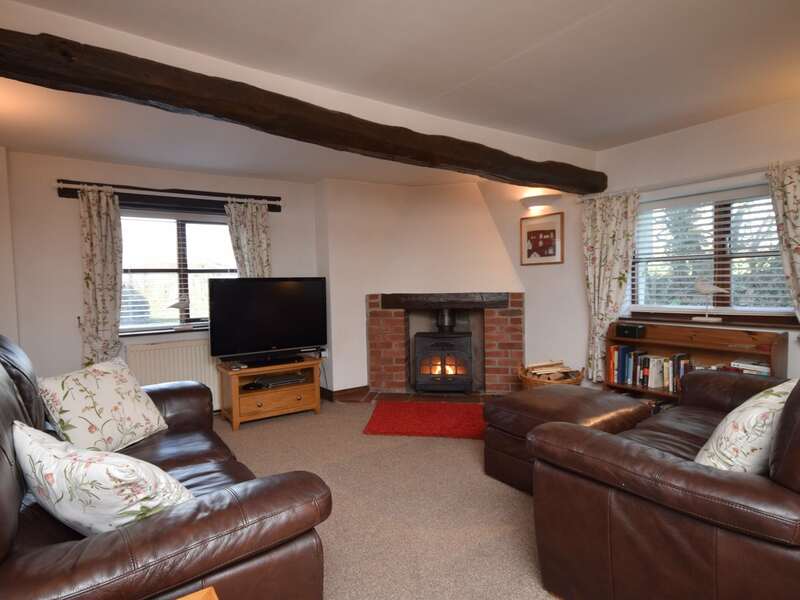 The spacious lounge area is a welcoming and relaxing space with its woodburner two comfortable sofas Freeview TV DVD and Bluetooth soundbar/subwoofer. 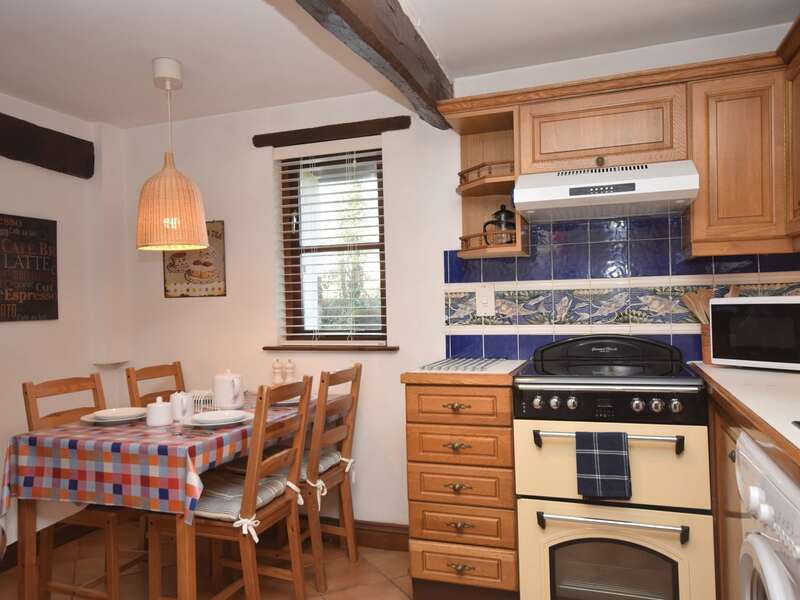 The kitchen/diner meanwhile has been decorated in a country style with a dining table and exposed wooden beams. 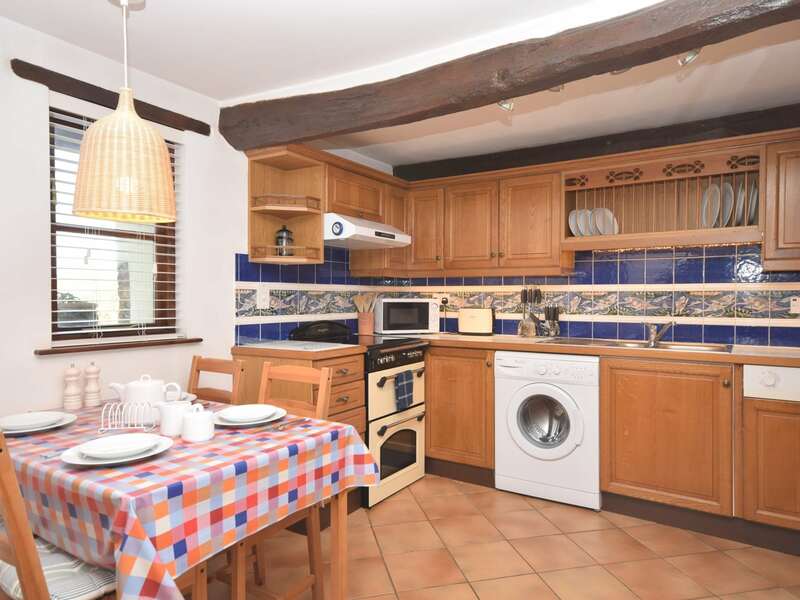 Guests will easily find everything they need here including an oven and hob microwave fridge/freezer dishwasher and washing machine. 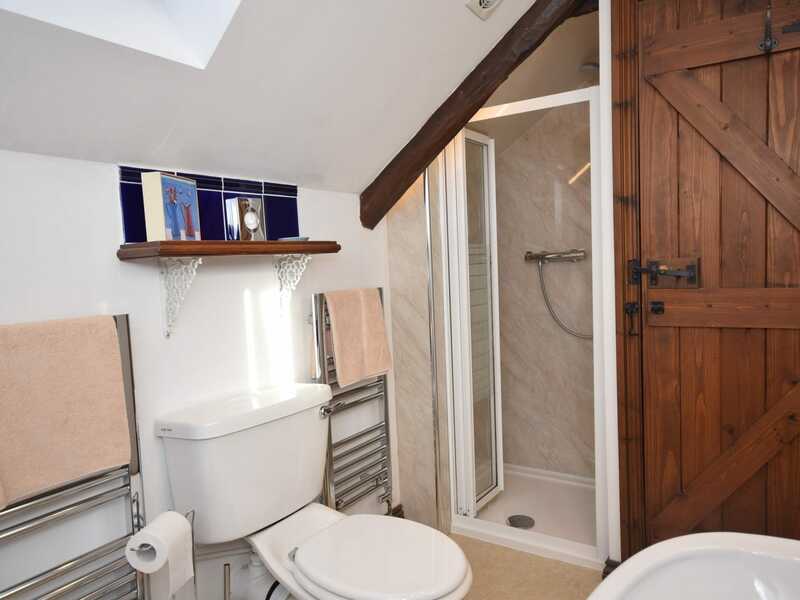 There is also a convenient cloakroom with WC on the ground floor. On the first floor there are two bedrooms. 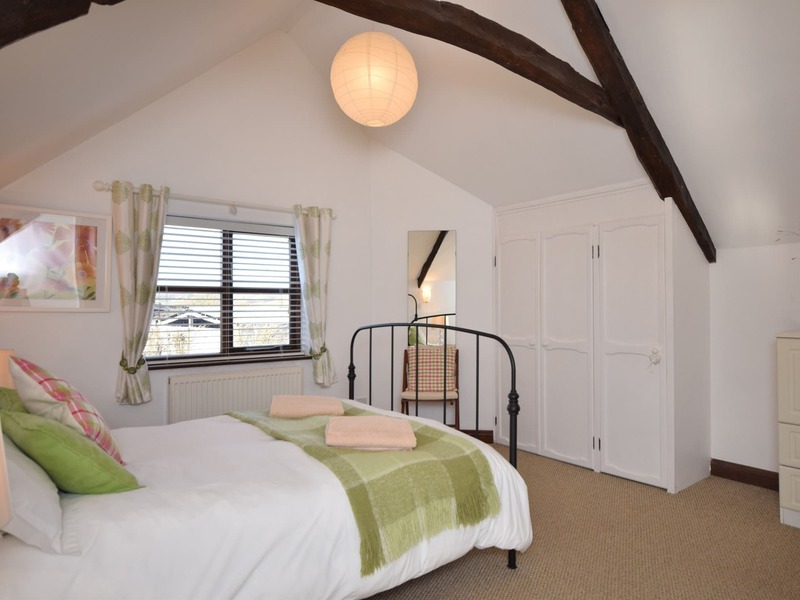 The first of these is a generously sized room with a double bed and plenty of storage space. 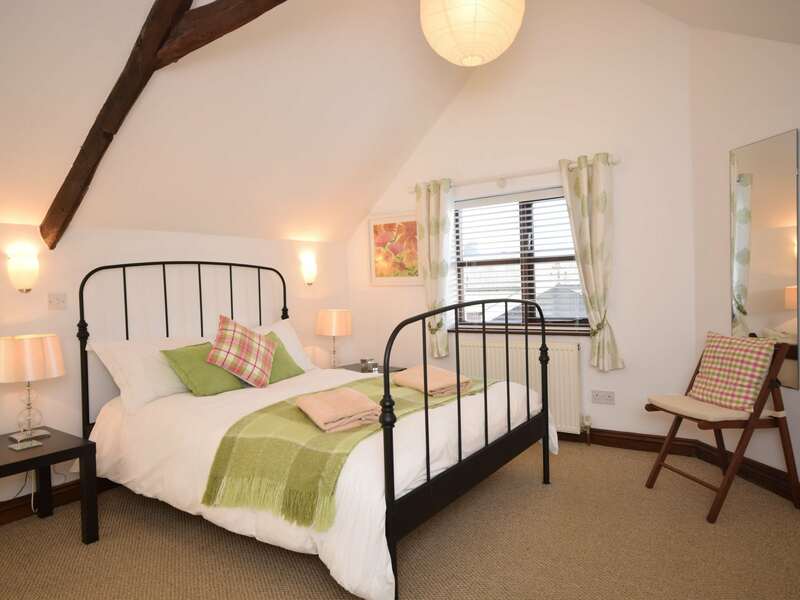 The second bedroom is a cosy twin room but if the room is being used by a single occupant the owners are happy to remove the second bed in order to create more space (please request this when booking). 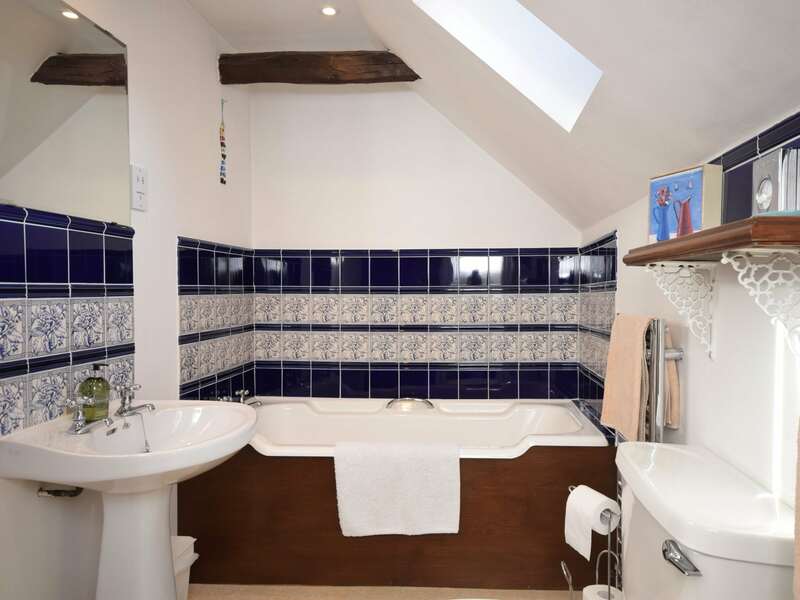 The bathroom also located on the first floor benefits from a bath separate shower and WC. 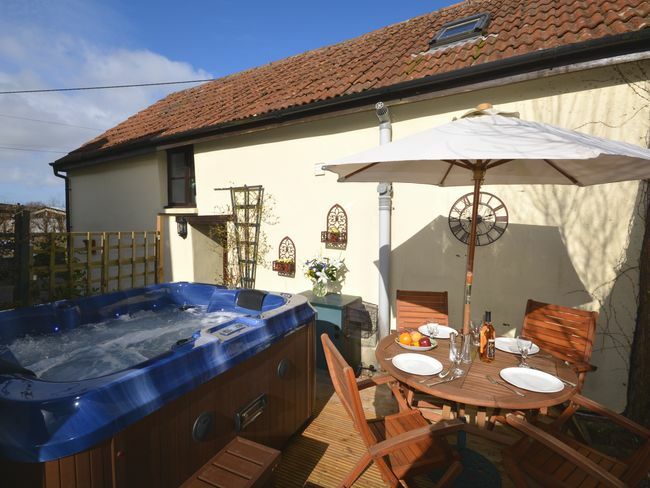 Outside there is an enclosed decked patio with garden furniture and a BBQ the private hot tub is also here providing a wonderfully relaxing experience for guests. Off-road parking is available for one car.